The wisdom teeth are the last set of permanent molars to grow out of the gumline. They usually appear between the ages of 17 to 25, and in some people do not appear at all. They can be the cause of problems for many people. If there is not enough room or space in the mouth for normal growth, they may not erupt properly and can cause discomfort. They can grow at abnormal angles, and may even remain trapped in the jawbone. Because of the position in the mouth, they may be hard to reach for proper care, and can be the cause of painful cavities that result from tooth decay. Many people, and even some dentists may suggest pre-mature removal as a preventative measure. It is believed that they have gained the moniker “wisdom teeth” in the 17th Century. It appears that the attribution results from the fact that they appear later in life, when adults are supposed to have gained more wisdom. The procedure was easily done in the office of your dentist or surgeon with dental equipment, and depending on your tolerance for pain, you can opt to having all of your wisdom teeth removed at the same time. With new research, and advantages being made in medical and dental care, the messages being delivered by your teeth removal dentist appears to be changing. The normal procedure for this involves the dentist to apply a numbing agent and then inject the area with a local anesthetic. If you are really afraid the dentist can give you some nitrous oxide to help calm your nerves. This is a gas that you inhale through an oxygen style mask. The dentist will start the mask off with pure oxygen and then slowly add the nitrous to the oxygen until you have received an amount that will allow you to relax. When you are relaxed you will be less likely to move and cause yourself undo pain. After the shots of local anesthetic have been administered there will be a period of time when you will be waiting for the anesthetic to take effect. If the dental care providers know that you are extremely frightened they will more than likely have someone stay with you while they wait for the medicine and brushless micro motor to take effect. Periodically they will come in and check your mouth to see if you are still able to feel pain in the area where they will be working. Wisdom teeth removal will require the dental care provider to use extractors that resemble a type of plier. The extractor will be designed to grip the tooth securely so the dentist can pull it out of your mouth. You will feel some pressure as the tooth is pulled free. The dentist may seem to be turning or twisting the tooth. That is what they need to do in order to break the roots free. This is a great article.I am very much pleased with your good work.You put really very helpful information. Keep it up. Keep blogging. Looking to reading your next post. Great post you have shared here about wisdom teeth removal. If you are looking for the best Dentist Bronx NY, then visit dentalsmilesunlimited. looking for Teeth Cleaning Near Me then consult with our dentists they will helps to achieve perfect smile. If you want it then contact at Ivanov Orthodontic Experts. If you are having the false teeth then, you should get the proper treatment. Visit Plastcareusa who has the proper dental equipment such as waterproof dental bibs, Sterilization Pouches,disposable dental face masks and other dental products. Get your teeth ache problem resolved on time otherwise it will cause more issue. Denture Adhesives will help you for the teeth treatment. 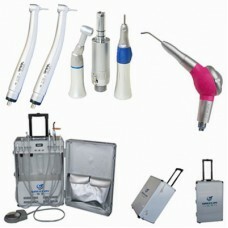 This short article will help you understand the different types of dental care available to you. I find a very good website for the Pharmacy , If you want you can visit this site.